Well I ran out and got my storage straightened out. I went to Kmart and got the Home Solutions Large 4 Drawer cart. I also got some non-slip lining for the drawers. Click the pic for the slideshow of my storage solution, I am very pleased with it. 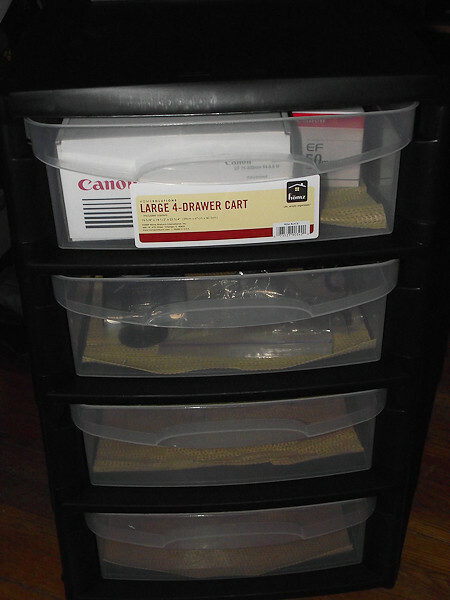 Total cost for Drawers and Non-slip lining $35.00.